Really simple. I've been a Transformers fan for years. And there are times I've had to have symbol to add onto the characters I've drawn. 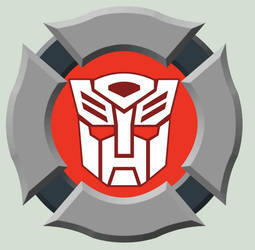 Thing is, it's easy to find a hi-rez Autobot and Decepticon symbol. But what about a Vehicon symbol? Or a Beast Machines Maximal? Or a G2 Autobot? That's a little harder. So I made this little archive of hi-rez (sorta) faction symbols for whenever someone might need them. No need to credit, favorite, notify me or whatever. Just if you need them, use them. And recently I've expanded this beyond Transformers to include GiJoe and DC Comics. do you plan to do the insignias of the arrowverse (supergirl,arrow,flash) since their insignias are different than the ones in the comics ? Wouldn't mind though. I DO like the shows. Thank you for posting these! I've been looking to make a Transformers Factions afghan... but finding all the insignias was proving difficult. Now I just have to get all the yarn colors together. Thank you for the awesome logos! They are very helpful! If I ever need them to use them in a pic I'll give you credit! Thanks for these. I'm just putting together a New52 SG suit and this will prove very handy. I know you don't necessarily want the people who use your insignias to give credit back to you, but it just didn't sit well with me to do so, hence why I linked back as many as I could for those that I could find here. And thank you for making and sharing these. They're really amazing!